Who doesn’t love basketball. Most people love playing basketball whether they’re good at it or not, but real basketball players understand the importance of having the proper basketball IQ to run the game. Well, as far as basketball IQ Tulsa chooses Score Basketball. They specialize in helping build your basketball IQ and playing skills on the court. Do you know a young athlete that you’re trying to whip into top-notch basketball greatness? Call 918-955-7160 and bring them down to Score Basketball. Whether you’re a youth or an adult, if you want to be great at basketball and want to train your basketball IQ into tiptop shape we can make it happen. Finding out what your strengths and weaknesses already are, we take time to focus on what your weaknesses are bringing them up to speed with your strengths and overall training to bring up your basketball IQ. Fitness and health are equally important mentally as they are physically, especially when it comes to the basketball IQ Tulsa. You’d be surprised how much your basketball IQ will help you on and off the court. It’s not common that any person in sports that takes them seriously always wants to do better. That is definitely a great trait that is always found in great athletes. At Score Basketball we capitalize in motivating you more to want to be greater mentally and physically. Understanding what’s going on on the court mentally is the first step to executing your specific task physically. Simple things like reading plays in order to telegraph with the most probable next move would be, therefore keeping you ahead of the game, is just one of the ways that I high basketball IQ puts you ahead of everyone else. What Score Basketball can guarantee through their service is that when it’s all said and done your basketball IQ will be higher, you will be a better player when you leave then you were when you came, and you will have more love and respect for the game. Increasing your mental capacity as well as your physical capacity will make you a tougher more challenging opponent and individually for each player strengthens the whole team. As they say there’s no I in team but starting individually helps the team overall. From passing, to shooting, the defense, and sportsmanlike conduct, we can help increase your overall player value. Basketball IQ Tulsa is a subject most efficiently performed and handled through the great coaches and basketball IQ programs at Score Basketball. Get your mind fully equipped and ready, your physical and tiptop shape, and the absolute basketball champion attitude you need to be great. All of that happens right here at Score Basketball. Get your gym bag ready, give us a call at 918-955-7160 and talk to our great staff, then come in and get started. Let’s get you headed towards greatness. Looking for awesome basketball skills? Are you looking for speed Tulsa? Then you will not go wrong with score basketball. Score Basketball is known for their incredible basketball skills that are taught by Coach Don Calvert. He has the professional training, the speed, and the agility to get players from where they are to where they need to be. The professionalism found at Score Basketball is absolutely thrilling. All you have to do to get started on learning these awesome skills is call 918–955–7160. Give Score Basketball a called today and your basketball skills will not regret it. The training that you will go through at score basketball is absolutely phenomenal. 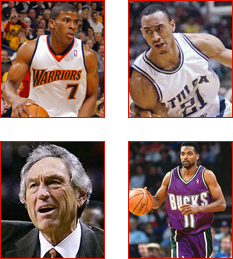 Did you know that Score Basketball has trained multiple now NBA players? This place knows what they’re doing and they will get you to the level of intensity that you have always dreamed of being asked. No matter what level you were starting at they can help you. At Score Basketball you will feel at home. They will teach you how to grow your speed salsa, and teach you how to improve your dribbling. Some players start out learning basketball and are skittish, but I’d Score Basketball they will teach you how to get out of your comfort zone and get to where you want to be. They will have you running all over that cords with confidence. Who doesn’t want that? Learning basketball is all about the discipline, and that score basketball they are known for their discipline. Nobody was born an athlete but with score basketball they will give you the skills necessary to become one. Who doesn’t want to feel speed? The skills that they will teach you at score basketball will not only help you will you are on the courts playing the game but also in life in general. These are skills that can be applied to any part of your life. Everything you do in life takes discipline, hard work, and dedication so why not start learning all of those skills now? At Score Basketball you will learn the skills necessary to take you from where you are to where you want to be. So why wait any longer, get started today. All you have to do to start learning these amazing basketball skills is give Score Basketball a call. Coach Don Calvert will be happy to start training you to become the person you have always wanted to be. Give them a call at 918–9 55–7160. Call today and you will be making the right decision for right now and for your future.